I'm in at the "I Want It All" level. This is one of those rare, momentous returns you just don't get to see ordinarily, comparable to a few years back when WotC started reprinting classic D&D and AD&D, but with the added bonus being that I bet, if it sells well, that Stave Jackson Games may continue to support The Fantasy Trip with new content. The GM's side of the table is really, really easy in terms of mechanics. It's still important to keep up on the player end to help them out, but while we tend to find ourselves looking up specific abilities, actually adjudicating the rules is very simple, and after three sessions I've effectively got the mechanics memorized. The players seem to be getting the hang of the mechanics, too, but they are also aware of the fact that the pool of points which powers abilities and makes tasks easier also keeps them alive. I've run some fairly intense combats, though, to help give them an idea of how much "survivability" their characters have....although tier one PCs in Cypher are fairly unskilled, they still are tough hombres. 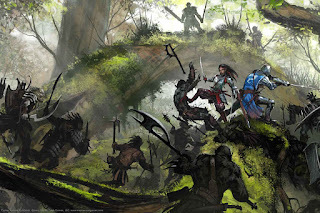 Against low level foes they can cut a swathe through the opposition without much effort, and a gang of mid level (3-5) foes can be a tough combat but still something they can overcome. I threw one very tough opponent against them late in the game that was meant to hammer home the power scale, and they definitely noticed it. 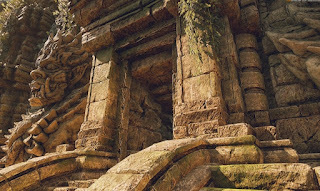 One new player was quick to notice how inverted the mechanical structure was; with very few static modifiers, much of the game's probability curve is entirely a matter of percentages, minus any imposed assets or spent pools. However, it's clear that with a bit of work you can make a character in this game who rapidly builds up zero cost assets (skill defense, for example) that can generally make life much easier for that character. The notion that you can have automatic outcomes...foes you can't miss, or enemies who can't miss you, seemed a bit of a surprise to some at the table. I haven't played a system like this since Tunnels & Trolls. It's an interesting conceptual space.....it basically places a mechanical cap on the point at which enemies are worth engaging with; if the entire party, for example, were automatically able to overcome a low level foe then the low level opponent no longer needs to be treated like a relevant encounter and can be delegated to the status of a "and then you killed all the goblins" description. The reverse isn't true for foes too powerful.....it becomes a life or death moment for PCs to figure out what gimmick the GM expects them to find/use to make the enemy go away, or to flee with all due haste. 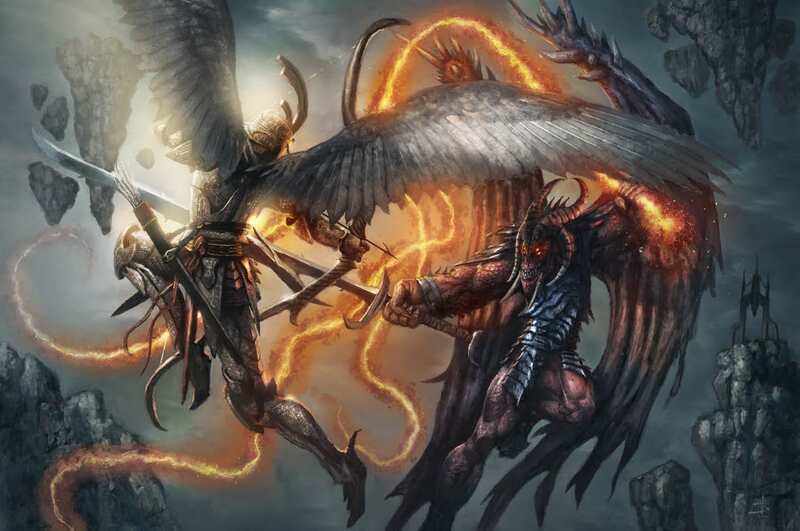 Unlike T&T, Cypher System is a but likelier to let PCs survive their first encounter with an overwhelmingly more powerful foe. If you play T&T, and the PCs accidentally attack an enemy they somehow they didn't get warning was too tough, it can potentially annihilate them in one round of combat. The low emphasis on skills in Cypher continues to be a perplexing experience for all of us. I mean...the skills are there, yeah, but the game doesn't hand out many at tier one unless you pick the exact right combination of descriptor, type, flavor and focus. Despite all of this, I am really enjoying the system, and look forward to continuing this campaign for as long as everyone is willing. I am also thinking about developing a new science fiction setting for Cypher System to see how it fares with a genre shift. Monte Cook Games did announce a second edition is in the works, for late 2019. It's part of the Kickstarter for "Your Best Game Ever," located here. As Monte Cook Kickstarters go this one is almost reasonable, with a $100 buy in for the Best Game Ever book and 2nd Edition Cypher System. I may buy in to it if things look good financially closer to the end of the Kickstarter. On returning from our trip I found lots of goodies waiting, including the print edition of Gamma World 4th edition, the version of Gamma World which was released in conjunction with AD&D 2nd Edition. This edition eschewed the mechanical changes of prior editions, which in 3rd edition aimed for percentile stats and colorful charts to resolve actions, and in 1st and 2nd edition was a bit more like a strange spin off of D&D in terms of mechanics. 4th Edition got back to this idea, aiming for something that definitely felt inspired by the design direction of AD&D 2nd edition. Anyway, the good news is that this POD edition is quite readable, and the copy from scan is very clean and easy to read. I've had some bad luck lately with old scans, most notably with the blurry and unpleasant to look at D&D Rules Encyclopedia, but Gamma World 4th is far superior in appearance and shows no bleed through, as well as good, crisp print. Anyway, if you're on the fence about a copy, I think this one's a safe bet! 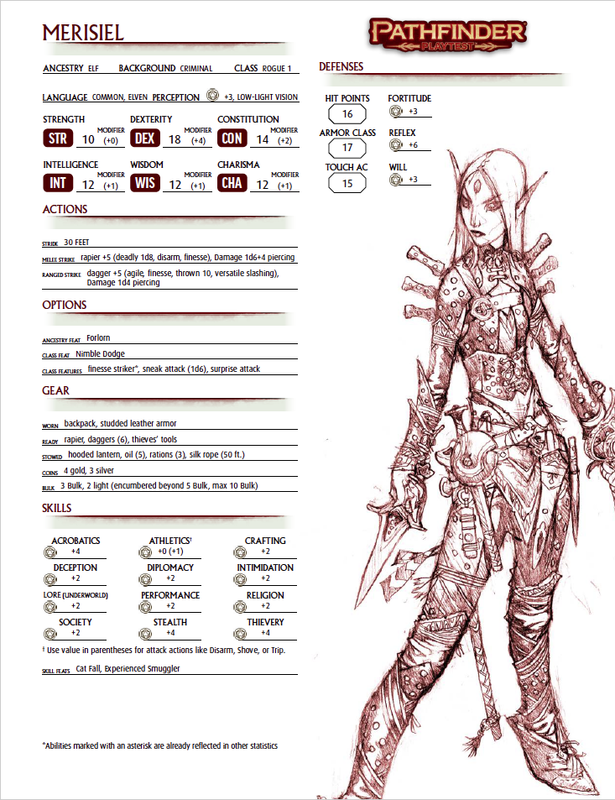 Of note is the second page on each character sheet with specific rules details, and the inflated hit points for level 1 PCs....about twice what they normally would get. Beyond that, the skill ranges suggest that the skill system is not getting overly nerfed (near as I can tell) which is good, because a key selling point for me on Pathfinder remains its more robust skill system, something I feel D&D can't really compete with. I'm increasingly looking forward to Pathfinder 2.0, and eagerly await the Playtest book when it is released. 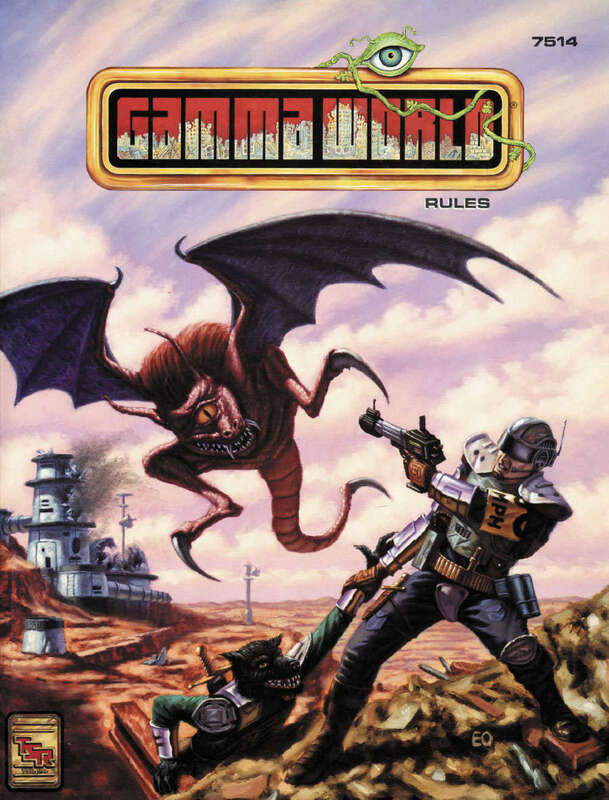 WotC just released a reprint edition of Gamma World 4th Edition, the 1990's edition of the game that came out roughly around the time AD&D 2nd Edition was in full swing. This is the one edition I never really got in to (for inexplicable reasons but a lot had to do with me loving GW 3rd edition much more and not wanting to move over) so it's really cool to get a chance to see a copy without paying an arm and a leg on Ebay....anyway, check it out! Games like Pathfinder may be so complete they are overwhelming, but they are also so complete that you never need to make up the answer to a simple question like the cost of horse barding. Likewise, after playing Genesys Core recently, I rather liked how that system had lots of interesting descriptors/traits for gear that could come in to play. Cypher System has gear that does stuff, and provides artifact rules, but in many ways it has some serious gaps in providing the GM with more than cursory direction on making your own stuff....or providing enough basic stuff for each genre. 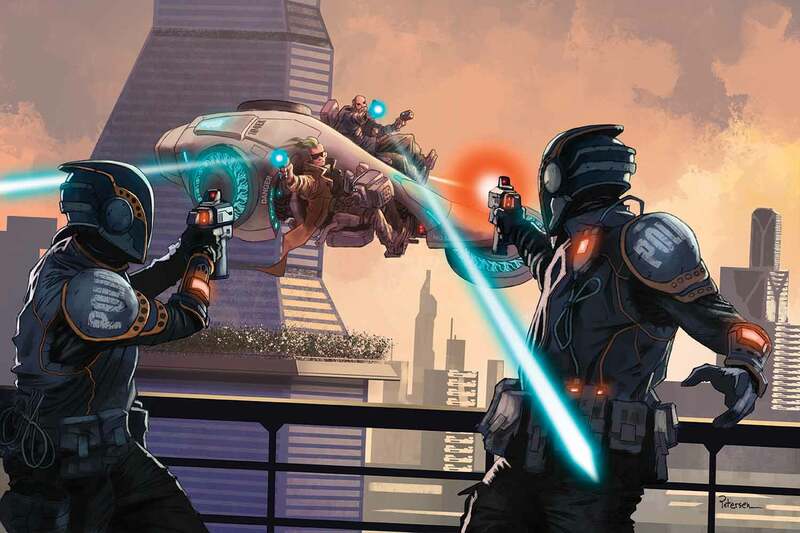 For example....how do you reflect a rocket launcher in a modern setting for Cypher System? Is this just a heavy weapon that deals 6 points of damage? Because that doesn't sound like a really impressive weapon when deployed in actual play. Is it an artifact that does a lot more? Probably, but the mechanics of the system are not offering me a lot of guidance on how to model that in a way that isn't also possibly game breaking. Cypher System has some interesting gaps like this. Indeed, the rocket launcher question I had is why I decided to try it out with the fantasy genre first. Anyway, my wish list for Cypher System 2E is for a 20-30 page section on equipment, with better guidance on building non-cypher equipment, and a fantastic, detailed "default" list of equipment and costs by core genres. Like, ten times more robust than what is in the current book. It looks like the intent of Numenera was that species a player could play would be part of their descriptor, and this is how individual species are statted for play as characters. The result however is that the character gets defined by a species descriptor and has to ignore all the other cool "personality" descriptors. Why can't you be a Fast Elf or a Witty Dwarf? In theory no reason at all, if the GM lets everyone pick two descriptors, but that requires modding the game. The simplest solution, of course, is to add a Species/Kindred descriptor to the list, and let people pick from that. Add a default "human" descriptor and problem solved. Or, allow for species descriptors that have more flex to them and let you stack/combine with other descriptors in a manner similar to how Flavors stack with Types. The genres could use a few more baseline examples, as well. 4-6 examples per relevant genre would be greatly helpful. There may be other things that I feel Cypher 2E could benefit from.....more later! *I know there are two modes of thought on this in RPGs today. Systems either treat money as an abstraction or a reality, and you either track it or you don't. Some systems give you a mix....Call of Cthulhu's Credit Rating skill lets you abstract some big expenses while still providing precise costs for items. Cypher System doesn't raise this question, except when it does (e.g. Gods of the Fall provides a money system while core rules just say "pick some items.") In the games I run I could just abstract it and say, "Your patron gave you enough money to get what you want," but I am of the school of thought that people (and myself) like actually knowing how much money we just found; treasure is, indeed, its own reward and part of why people play. Abstracting it makes it less interesting and less useful as a feature of the game, and doesn't work well with long term campaigning. Technically this is our second night trying out Cypher System, but the first night exclusively dedicated to the new system. I'm using the actual Cypher System (generic ruleset) as opposed to Numenera or The Strange, but based on reading all the giant mess of rule systems together it's pretty clear that the experience of one iteration of Cypher is fairly applicable across the table. "Sure," you say, "but running the story takes a lot more time and effort in RPGs than anything a player does." But nope, you'd be wrong.....Cypher System actually strips away so much of the mechanical element normally handed to the GM in other games (like, as in most RPGs) that this game's GM-facing rules feel almost anemic. At one point during the Saturday night game a question of recover arose the pool cost for a task, and the players were explaining it, so I had to remind them that it didn't matter....this was an NPC so the rule of thumb for the GM is "Do what is needed and makes sense for the story, and eyeball the level of the creature if in doubt." I haven't seen another game system with such a simplified creature mechanic since Tunnels & Trolls. Seriously. T&T has at its most essential one monster stat: the Monster Rating. You define the monster's hit points, attack dice and adds from this number, and essentially that's all you need. In Cypher System it uses the monster level, which gives you it's health, damage and attack/defense target number....and is all you essentially need. Both systems let you add special abilities and details, but the base stat is completely derived from a single number. Players are on the opposite end of this, with a mess of pools, edges, an effort stat, skills, abilities, limits and other features which all work toward a point-spending resource depletion mechanic in which you can choose whether or not to spend resources (at the risk of not having them later) in exchange for making tasks easier. It has some advantages and some flaws I can already detect from a couple play sessions as follows. Players don't need to spend resources unless they feel the need; if you have the sort of players who are low-risk, or who are more worried about keeping health high (health comes from the same pool as other actions) then they may not feel motivated to push the envelope and as a result a game could feel a lot like just rolling D20s and hitting the GM-set target numbers. There's also a lot of disincentivization to spend your pools of points. When you take damage, it comes out of your might, speed and intellect pools. So spending these points to improve your odds of success is, for Cypher System, literally spending your hit points....you succeed, in a manner of speaking, by taking damage to yourself. Special abilities (such as magic like effects) also cost pool points (usually intellect) thus making this an issue on every level. The game's focus on risk assessment means you rarely have static modifiers (but gaining some skills will count). With so few static modifiers, there's a problem, to some degree, with how you visualize your character. If you assume a lot of Might in your pool equals a strong character, but that strong character is played "safe" and fails a lot of rolls for failure to exert effort, then what's really going on here? In some ways the mechanic is inventive genius....a resolution mechanic with fatigue/stress inherently baked in to the game itself in a manner that can not be ignored and is also sufficiently easy to grasp that it doesn't feel like a chore as most fatigue/encumbrance systems tend to. Something I also thought about was the problem of cheating on die rolls. As a GM I roll up front and for all to see, but I don't enforce that of my players at the table. If you think there's a cheater, it may show up in this game system more prominently if you have the occasional player who suddenly hits every time, dodges every time, and always somehow manages to win. And since the book-keeping is entirely on the player side, it can mean the GM must demonstrate a lot of trust in the accuracy (and honesty) of their players. Conversely, the players must "know" the system well enough to understand what they are doing and not muck up how pool, edge and effort work together. Cypher System also emphasizes a mechanical process that aims at descriptors, types and foci that are used to identify characters and provide the operational packages with which characters function. It seems to provide a lot of stuff for players to pick from and work with, but time will tell if that is enough choice for my veteran gamers to enjoy building their PCs. Some criticism I have read of the system is that it is a "wide but shallow" experience. I don't know what those reviewers were comparing it to....right now on the face of it Cypher System seems to offer more overall content and character design options than most other recent popular RPGs do (that aren't D&D or Pathfinder, anyway). The biggest concern I have after our two sessions of play so far comes down to the fact that as a GM I am really used to game systems built around verisimilitude. Cypher System is a mechanical experience designed to emulate a stories, which is great, but it's the kind of game where you, as GM, have to prefer to say "I know how this goes down," for the GM-controlled elements of play, and not instead say, "I'd like to see what the system determines here." It's a subtle point, and one I seem to be comfortable experimenting with right now, but for me it was a bit weird not having some die-determinants in more of my story options. As a GM I can see where Cypher System was built from the ground up to remove as much perceived work from the GM's table as possible. It's a very different experience from D20 systems, to contrast. But I really like verisimilitude in my games, and it's really interesting (and a bit outside my comfort zone) to play a game like this where every game element feels like a suggestion or inference rather than a hard-coded example. 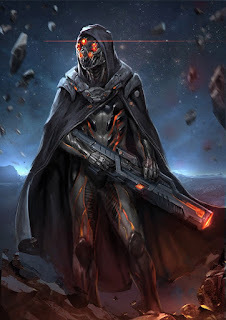 Anyway, I'm running Cypher System on the weekends for the foreseeable future, using it for a fantasy campaign with sci fi elements, and plan to keep playing it until (like Genesys Core before) I feel I have decided I like it, love it, hate it, or just want to go on to the next shiny new system. We'll see what happens.....but I am cautiously optimistic here. I like how it liberates the GM, but wonder if after 10-20 games the simplicity of creatures and NPCs will leave me wishing I had more mechanical elements or procedural verisimilitude at my fingertips to let the system surprise me as well as the players. We'll see. 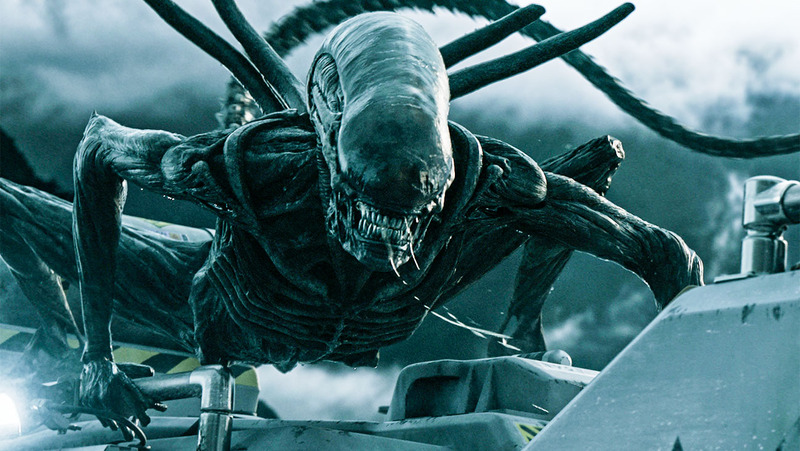 A quick and dirty but very robust adaptation of the Alien franchise right up through Alien: Covenant. I feel like I should run this. This was the basis for a campaign I ran for about two and a half years, and the home city of the adventuring party that went from levels 1 to roughly 14. Many good memories, especially of taking down the enigma of the Red God! Now I'm cheating by linking to an Index, but of the various worlds built as exercises on this blog, Pergerron was especially interesting. The setting started as my tribute to classic B/X D&D and eventually morphed into something I used in actual play with Magic World and then D&D 5E. 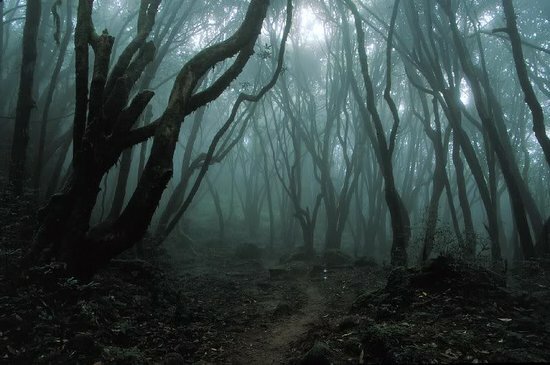 One of the best parts of the setting was the region of the Vosjin Wood, a haunted netherland bordering the mortal realm and the Primordial lands. 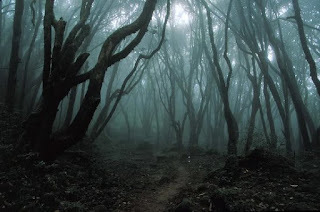 A lengthy series of encounter write-ups (starting here) were some of the most fun I've had in setting up a weird forest. Fun fact: I adapted the Ghosts of Dragonspear Castle to Pergerron! 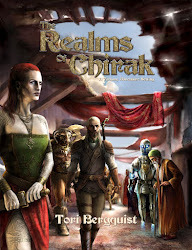 Dual-statted for BRP (Magic World) and T&T, this module remains one of the coolest scenarios I've written which I have never managed to run, mainly because I've never found a way to squeeze the world of Sarvaelen in to my gaming slots, nor decided what system I truly wanted to use for it. Still, it's a great scenario. 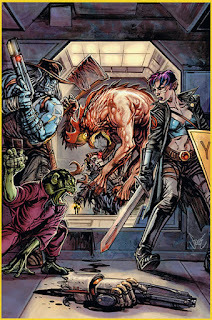 You can find it all on the Savage Worlds site index, but before The Last Parsec arrived I was deeply inspired by the fast, furious and fun structure of the Savage Worlds Science Fiction Companion to create a new setting from whole cloth....or in this case, I found a few dozen random cool picture on the internet and used them as the springboard for creating the Savage Space setting, which I have now used for three Savage Worlds SF campaigns. Definitely some of the most fun I've had writing on the blog, and something I must do again, soon. 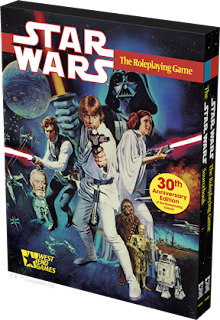 This is, for many (myself included) what we tend to think of when we think of RPGs and Star Wars. No funny dice, just six siders all over the place. The original rules which founded for many the love of the West End Game D6 System which was such an effective rule system for space opera gaming. This edition is much more accessible and easy to use (in my not so humble opinion) than the current iteration of the game, and surprisingly in its relative simplicity compared to RPGs of the modern era manages to be rather flexy....I can see using this ruleset to run Rebellion Era games with no need to spend too much effort revising the content of these books.....indeed, the majority of the contents of the 1st Edition Star Wars RPG laid the groundwork for not only the Expanded Universe to come, but most of what survived the Disney era culling, too. In terms of the replication, the books are very precise, including the color plates and black and white mix, and the quality appears to be spot on. I don't know how they did it (contrast with what WotC had to go through to recreate AD&D 1st edition) but it has worked. The only complaint I have is the spines seem a bit weak to me. Also, it says 30th anniversary on the cover slip (missed the mark slightly), but the back covers show "40" for the 40th anniversary of the original film. Make up your minds! Anyway.....if I do any Star Wars gaming today, it's going to be with this ruleset. 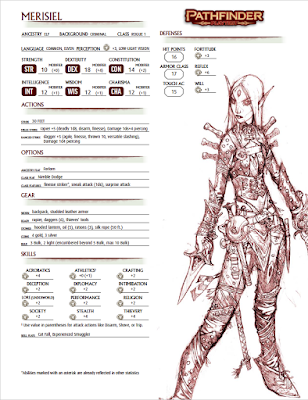 Pathfinder is back, and I am happy it is. It helps that the group which I've been running it for (the same gang that also plays Starfinder) is playing the game purely for fun as an RPG, and we're not seeing the old escalating "char gen min/max minigame" conundrum that left my love of Pathfinder in the dust years ago. It's even more amusing that with the exception of some newer books, I'm relying entirely on my Pocket Edition collection to run the current game. Who knew I'd get some use out of them??? In the tradition of the Starfinder game (in which the plot has, up to the last stopping point, been closely tied to the plot of the 1980 Conan the Barbarian movie....but, you know, in Spaaaace) I am also alluding to a plot origin in the Pathfinder plot. Should any of my players read this, I'll just state that it is at least peripherally derivative of Romeo and Juliet, but that should be obvious already. "She was the spirit priestess of the Catfolk god, he was the strapping human cleric of the One True God. Their love was never meant to be.....but these fine gentlemen will help unite the two lovers, for the right price!" Also, you should check out Planar Adventures. This is the book I really really REALLY wanted back in 2010 after the first two Pathfinder rule books came out. At last, finally, it has arrived. Maybe I'll revive my 2010 planar campaign again.....hmmmm. Either way, this is officially the last hard cover book for Pathfinder (I think) before the Pathfinder Playtest and subsequent release of 2.0 in 2019. Fortunately, the rules content is minimal (more or less) so it will have some utility with the new edition for setting value! I've also tried some board gaming, something traditionally anathema for me. 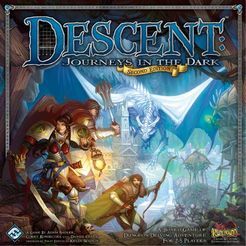 Realms of Terrinoth was interesting enough that it prompted me to grab Descent: Journeys in to the Dark with the intent of teaching it to my son. As it happens, this became vaguely possible because Fantasy Flight also has a Descent App you can download that acts as the gamemaster for your board game experience, letting the players go co-op against the app. Without the app, I'd have probably decided Descent was a better utility for map pieces and minis for a D&D or Pathfinder game (or 13th Age, T&T, etc.). With the app, I can see a future for it, although in the time it took poor old dad to figure things out my son grew a bit bored and went back to Minecraft. Sigh. Why is it I can read hundreds of pages of RPG rules and find delight, but board game mechanics make my head hurt? My theory is that too much abstraction is actually outside the deep but comforting grooves of world sim mechanical structuring that RPGs offer. Abstraction in mechanics is actually harder for me to figure out as a result. Despite this, I seem to have Runebound, Imperial Assault, and Fallout in the wings (my kid is figuring out how easy it is to convince me to pick up games he drags off the shelf). Finally, I've been a bit annoyed with computer and video gaming in general, though still oddly driven to enjoy the simple focus of the Switch. * That said, I loaded up on war games from the recent Steam Summer Sale, and have been unexpectedly enjoying the likes of X-Com: Enemy Unknown (amazing game), Total War: Warhammer, and 40K Dawn of War series. Also, Starcraft II which I already owned but a convenient sale at Blizzard let me add the stuff I was missing. I'm not prone to enjoying RTS type games except in intermittent bursts....my time in this domain was all but exhausted back in the glory days of Warcraft 2, Civ 1 and 2, and the original Command & Conquer. Yet here I am winning (against the PC for now) in Dawn of War, Total War, and others. I've accidentally picked up more stuff on sale than I'll ever have time for, so I need to test the buffet, if you will, and pick wisely. Damn you Steam Sales! *Nintendo Switch, for the old farts out there nodding sagely about the need for better discipline. Specifically, the elegant Junior Edition of Skyrim I like to call The Legend of Zelda, but in particular that insatiable, unrelenting Witch Who Wears Her Hair and Casts Magic with Her Gun Heels madness that is Bayonetta. Chip in! This is a no brainer for T&T fans. According to the latest post, if they hit the stretch goal then the map goes big and poster sized! This will work perfectly with the stretch goal minis rules. I've actually had a great deal of fun using maps and minis with T&T in the past, and the flexibility of the game makes them a lot of fun. Giant ants are larger than dogs and can be a countryside danger. Health 9, Armor 1 (magic ignores), damage 3, Abilities include ability to charm an enemy at short range for one minute (level 3), induce despair level 3 (all pool costs increase by 1 for one minute), can teleport a short distance as a move action each round. GMI: can devour a humanoid corpse in one round to grow, gaining a level. At level 6 becomes a greater barghest and gains ability to teleport and attack in same round. These other dimensional monsters are superficially related to goblins and seeks such kind to rule as their leader once they transform. Health 12, damage 4, Turns enemies to Stone with a gaze Level 5 (14); coating a fresh victim in the basilisk’s blood within one hour reverses the effect. These reptilian lone predators with six eight legs are often recognized for the decaying statues that litter their lairs. A large insectoid burrowing creature that terrorizes farmers and eats cattle. These apes are known for their taste for flesh and are a threat to regions with warmer forest climates. Giant cave bats are a nuisance but can be a threat in numbers as they seek to drink the blood of victims. Health 9, Damage 3, GMI: Maul Attack next round deals 4 damage and knocks the target prone. Grizzly bears are common in the wilderness but tend to be territorial in the spring. Health 6, Damage 2, GMI: the beetle is a flash beetle variant (Level 3) which can cause blindness for one minute. Fire beetles are glowing dog-sized monsters and their abdomens can be cut free to serve as bottled light for several days. These sinuous serpentine drakes are common in deserts and are often brought out by great thunderstorms. Wild peccaries can be dangerous but the primeval dire boar is a major threat to hunters. Health 6, Damage 2, Stealth ability Level 4; a bugbear which has surprise attacks at level 4 and deals 4 damage during the surprise round. Bugbears are larger goblin cousins, reviled for their murderous ways. These beasts may have been created by some mad wizard, and are fearsome predators in hill lands. Health 3 or 9, damage 1 or 3 unarmed or 4 by weapon, Nimble: Level 3 or 5 defense to avoid being hit. GMI: deal +2 damage to a magical foe. Sprinters: catfolk may move and take an action each round. GMI: the catfolk move out of sight quickly, and target must make an intellect check Level 4 to keep track or the catfolk is considered stealthed. Catfolk proliferate through rainforests and mountainlands in tribal groups which demonstrate a deep respect for the lands around them. They avoid city life but some loners take to it quite well. Health 9, damage 4 (spear or sword) or 2 (hooves); GMI: the centaur attempts to trample a target (level 3) and knock them prone. Centaurs are roaming hunters and nomads, living primitive but fruitful lives. They do not get along well with humans and other two legged species usually. Health 6, damage 2, Strangling Attack Level 3 (9), the choker deals 3 damage per round and grabs on to the target, which must make a Level 3 might roll to dislodge the beast. These aberrations are grotesque subterranean predators which move with a rubbery, boneless gait. 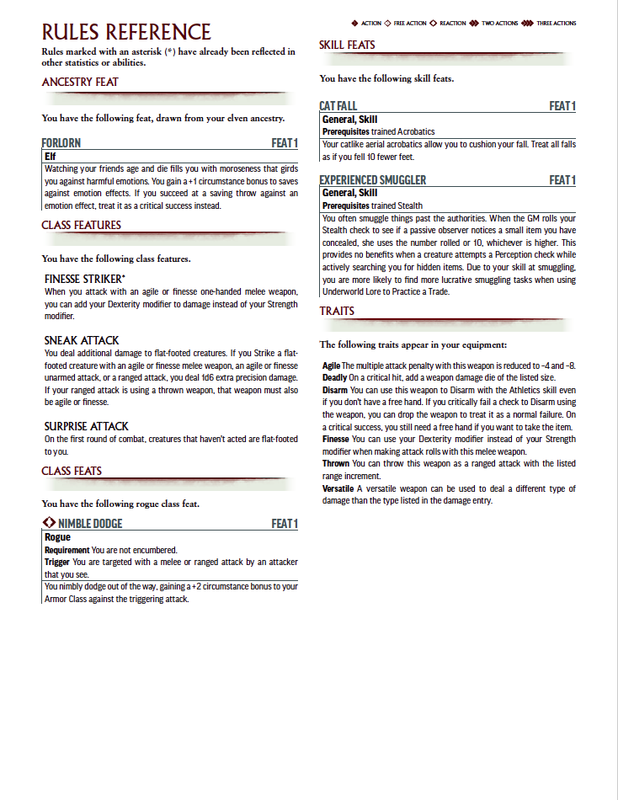 Health 9, damage 3, Moan Attack Level 4 Intellect defense (effect will be fear (flee 2 rounds), nausea (fall prone 1D4+1 rounds), stupor (become immobile for 5 rounds) or unnerve (-1 modifier to attack rolls); after 6 rounds in the moaning area on failed defense rolls subject goes in to a trance until moaning stops. Shadow Shift (cloaker level goes to 4 against attacks), Engulf Level 4 (wrap man sized or smaller foe in its wings; Level 4 Might to break free, otherwise take 4 damage per round from blood drain); GMI: uses an additional ability as a free action. These underworld predators look like evil flying manta rays and are feared for their cunning intelligence and ability to manipulate the goblinoid races. 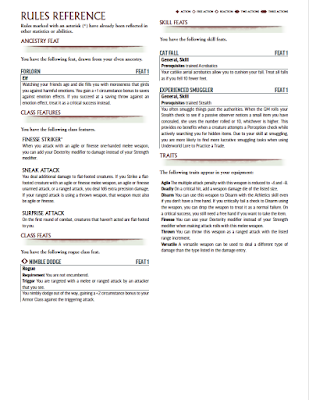 Health 6, damage 2 (daggers and hand crossbows), Madness (level 3 defense against intellect attacks), Poison Use (Level 4 poison on weapons, deals 4 additional damage), vulnerable to sunlight (Level 1 defense in sunlight); Spells: induce darkness for short range at will; Dazing Sound Burst (Level 4 or become disoriented, -1 penalty on rolls for 1 round). The dwarves of the deep, these sadistic creatures may have fled to the underworld long ago to escape a greater threat on the surface. They have been warped and twisted in the image of the Old Gods. Health 6, damage 2, Shape Change ability, Level 6 (18) to detect that they are not the target of their shape change. Mimicry (Level 5) to emulate the behavior of the subject of its disguise. Doppelgangers look like evil, pale mannequins with blue tongues, pupiless eyes and blue blood. They mimic and replace targets that they seek to take over the lives of. These cunning forest predators mostly keep to themselves except to protect their young. Health 20, damage 5, trample attack Level 6 in short range, 6 damage and knocks all targets prone. Elephants are useful herd animals but a bull elephant can be dangerous in the wild. Health 3, Damage 1, Sticky Tongue Level 2 Speed attack, against a short range target will grapple and restrain the target (level 2 Might to break free). Giant frogs are a tasty nuisance. Gnolls are hyena-headed beast men who dwell in arid plains and deserts. They are territorial but not fearsome unless they outnumber a target. They often train hyenas as guard pets. Health 12, damage 3, pouncing attack Level 4, 4 damage and either knocks foe prone or grabs foe in claws (level 3 might roll to break free). These flying chimerical beasts are part eagle and part lion. They can be tamed as mounts with time and effort. Health 12, damage 4, Alluring Song Level 5 Intellect attack (captivates all targets within long range, compelling them to move toward the harpy, regardless of obstacles or cliffs in the way; new attack each round; once the song is resisted the target is immune for one day). Harpies are malevolent, cursed half-eagle, half-women who lure humanoids to their doom with their songs, usually by getting them to walk over a chasm or cliff to fall to their doom. Health 6, damage 2, fire breath that attacks short range at Level 4 and deals 4 fire damage every 4th round; Stealthy at Level 4. Hell Hounds are believed to come from some abyssal plane of existence, and appear to be smouldering corpse dogs. Health 6, Armor 2 points chain and shield, damage 2 unarmed or 4 sword, Stealthy at level 3 without armor. Slightly larger cousins of the goblin, the hobgoblins are more militant and aggressive, and often subjugate goblin clans to their will (but they will defer to bugbears or barghests). Health 3 per head, damage 3, multiple attacks (one per head, usually 7-9) in short range, fast healing lets it regenerate uncauterized wounds at 1 point of health per round; if it takes 3 damage a head is severed, and two rounds later it regenerates 2 new heads from the stump. Only cauterizing a stump stops this. Hydras dwell in swamps and mountains and their regenerative ability makes them insanely dangerous. They are lone creatures. Lizardfolk are part of an ancient reptilian race that may once have spanned the continent long ago before falling to barbarism. Health 12, damage 3, spike tail attacks all in short range at Level 3 Speed attack for 3 damage to all targets, but may do so only 1D6 times per day before regenerating spikes. The manticore is part lion, part human, and part dragon. It is a lone beast and wanders the badlands and mountains hunting prey. Health 21, Damage 7 (tongue with paralysis), paralysis is Level 7 might or become paralyzed for 3 minutes. 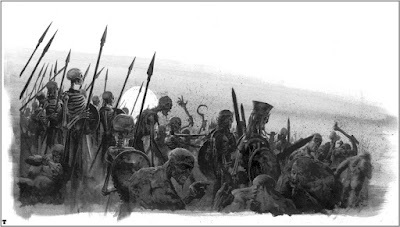 A creature killed by a mohrg will rise as a zombie under the mohrg’s control. 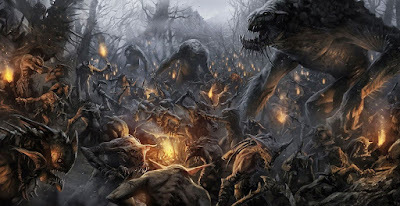 Mohrg are terrifying undead spawned from serial killers who continue their practice in undeath. They attack with a tongue like appendage forged of their rotten flesh that writhes in their ribcage. Health 15, damage 4, Despair Level 5 Intellect defense or all in range become paralyzed with fear for 4 rounds. Mummy Rot Level 4 Might defense on taking damage or target begins to rot, losing ability to replenish Might Pool and dropping 1 point per day until cured or hits zero and turns to dust. Anything which can remove a curse will lift the mummy rot. Mummies take double damage from fire. Mummies of ancient civilizations which are jealous of what they took with them to their ancient graves can be a major threat to tomb robbers. Health 15, damage 4 unarmed or 6 (large sword), change shape at will (level 5 intellect to detect), darkness in short range at will, turn invisible (level 5) at will, can charm an enemy for one minute (Level 4 Intellect), can turn to a fine mist once per day, can attack with a burst of cold Level 5, 5 damage, to up to three targets in short range. Fearsome opponents related to ogres, the oni are other dimensional invaders with an inscrutable purpose. These aberrations were no doubt the creation of some wizard, or escapees from another dimension, with hideous skull-like faces and eyes reminiscent of owls, and the bodies or large bears. Health 3, damage 1, poison sting level 4 does 1 damage and induces sleep for 1 minute; GMI: also has invisibility and uses it. Psuedodragons are not believed to be true dragons but may be natural creatures which escaped the Arboreal Kingdoms of the Faerie. They are cunning and intelligence beasts, and can be taught to speak fluently. Health 15, damage 5, trained in magic (can cast various magical effects, including a lightning bolt for level 6, 6 damage to short range targets, shape change at will, invisibility, and can induce 2 points of magical armor as an action; may have other effects and cyphers). Detect Thoughts as Level 6 Intellect defense to read a crature’s mind within long range. The rakshasa are an ancient race which has learned to hide from the young races who fear them for their power. They are manipulators and deceivers working behind the scenes to influence history. They are noted for being able to shape change very effectively, but they cannot disguise their hands, which always face backwards from a normal man (Level 4 Intellect check to notice this if actively searching). Health 45, damage 7, can grab a target it strikes and lift it in to the air to be dropped later. These enormous birds are mostly solitary predators but can be found and trained as effective creatures of war. They are large enough to grab and lift elephants. Health 9, damage 3, poison on attack Level 4 might check or take 4 additional damage; GMI: can constrict with the claws as Level 4 attack for 4 damage and restraining target, which must make 4 Might check to escape on its round or continue to take damage. Giant scorpions can be found in deserts, forests and the plains hunting small to medium sized prey. Health 6, Damage 2, Strengh Drain Level 3 or target takes 3 Might damage and cannot recover that amount to the pool for 24 hours. A Target reduced to 0 might by a shadow becomes a shadow itself. These undead beings are disincorporated spirits or vestiges of evil beings that seek to drain the life energy from targets and make more of itself. Shadows luckily often seem rooted to a haunted location. Health 15, Damage 5, and a target struck must make a Level 4 might check or be trapped in its mass, taking addition 5 constriction damage until it escapes. Lighting/electrical damage heals instead of wounds shambling mounds. These strange beings of swamps and woodland may be naturally occurring manifestation of nature spirits but they often act like any other predator and demonstrate a relatively low level of intelligence, albeit somewhat smart. Health 3 or 6, damage 1 or 2 unarmed or 4 points with swordss, Tengu can learn most languages quickly, and are excellent with swords. The birdfolk of the land are ravenlike creatures with a cunning intelligence, ability to learn languages easily, some flight and a natural aptitude for swordsmanship. Health 6, damage 2 unarmed or 4 by weapon, natural stench exudes in short range and everyone in that area makes a Level 3 Might check or become nauseated, increasing attack and defense levels to 3 against foes in that area. The subterranean lizardfolk known as troglodytes are particularly vile and repulsive in their smell which serves to warn off neighbors to their presence. Health 12, damage 3 with claws, 6 with weapons, GMI: rend attack at level 4, deals 4 damage to up to two immediate targets. Trolls regenerate 2 health per round, and only fire or acid stop this. Trolls are devious and cunning but asocial, and dislike most other creatures, dwelling instead in areas where they can force payment for protection or tolls, or set up ancient caverns filled with traps. Vanara are simian humanoids of deep intelligence who obsess over their appearance and enjoy raunchy humor. They are rife in deep rain forests and jungles where they form large tribes. Health 2, damage 2, Vargoulle’s Kiss Level 4 Intellect Check or the target will turn in to a vargoulle within 24 hours unless a curse is removed; on a bite target is Level 4 might check or take 4 extra poison damage; Shriek attack Level 3 Intellect or become paralyzed for 2 minutes. These horrifying demonic heads with wings are a kind of infernal outsider which invades the mortal realm to make more itself, after which it flies off to other dimensions with its new hellish brood. Health 9, damage 3 or by weapon (usually 4 or 6), Stealthy at Level 4, and any creature slain by a wight becomes a wight in 1D6 rounds. Wights deal damage to the might and speed pool first, and points lost cannot be restored for 24 hours. These more ominous undead are found in ancient tombs called barrow mounds sometimes, and at others are part of old risen armies. Health 12, damage 4, on a strike also deals poison (Might Level 4 check) dealing additional 4 damage. GMI: can rake with claws against all immediate targets for 4 damage each. Wyverns are winged drakes, related to dragons but of a lesser intelligence. They roost in high cliffs and hunt men for food. Dwellers of the Kerenwood, the rabbitfolk are prolific but remain largely hidden in their burrow cities throughout the deep woodlands and away from men, elves and dwarves. They are animistic and superstitious, but they are dangerous in large groups. A’Hool Commoner Level 1; typically has a light weapon (2 pts) and no armor, but only attacks if they outnumber enemies 3 to 1. A’Hool Warrior Level 2; these tribal protectors will stand up to any menace protecting their bellow tribes living in burrowed hills throughout the Kerenwood. They tend to have spears (4 points) and leather harnesses (1 point) for protection. If three or more surround a target they attack and defend as if level 3. A’Hool Shaman Level 2; the shamanic spellcasters can cause many issues, including the ability to cause blindness for 1D6 minutes (level 3) and the ability to crush bones at a short distance (level 3 effect, 6 damage). The swamp dwelling hinzin are dedicated to their ancient swamp god, Sorrileth, and believe that they are the fallen survivors of the First Kingdom. They intensely dislike most outsiders. Hinzin Tribesman Level 2: Typical hinzin lizardfolk are nothing to sneeze at and come about 7 feet standing next to a human, with alligator-like bulk. They deal 2 points with claws and wield weapons for 4 points usually. Even ordinary tribesemen are dangerous in a fight. Hinzin Marshwalker Level 4: Marshwalkers are scouts, warriors and rangers who watch out for their tribe. They are especially good at stealth (level 5 to detect) and usually armed with broad axes and spears (4 points). They are excellent swimmers as well. Hinzin Warlord Level 5: these are beastly hinzin who have taken alchemical concoctions in the name of the Swamp God Sorrileth to enhance their physique. As such they tend to have 20 health, and deal 6 damage on a strike, even unarmed. As an intusion they can grab a foe and deal an additional 6 damage trying to break bones and tear the target limb from limb. Senchir Birds Level 3; these birds are huge, like ancient axe beaks, and native to the terrain. They are equipped with vicious breaks that deal 4 damage and are used to hunting the Hidarit Plainsworms and the local ibex. The Zankani frogfolk claim to have lived in the lush jungles of their native land long before the catfolk arrived and started hunting them. Despite the presense of humans stabilizing the never ending conflict, the frogfolk still remain wary of their enemies. Frogfolk Commoners tend to be level 1 (3), but warriors may be up to level 4 (12) and usually wield medium weapons (4 damage). They are noted for being very fast but only when jumping; in combat they can jump up to a short distance as a free action (similar to the Fast Descriptor).